Twitter seems to be following Facebook's lead in streamlining their profile design- adding larger visuals and giving users new ways to highlight content. 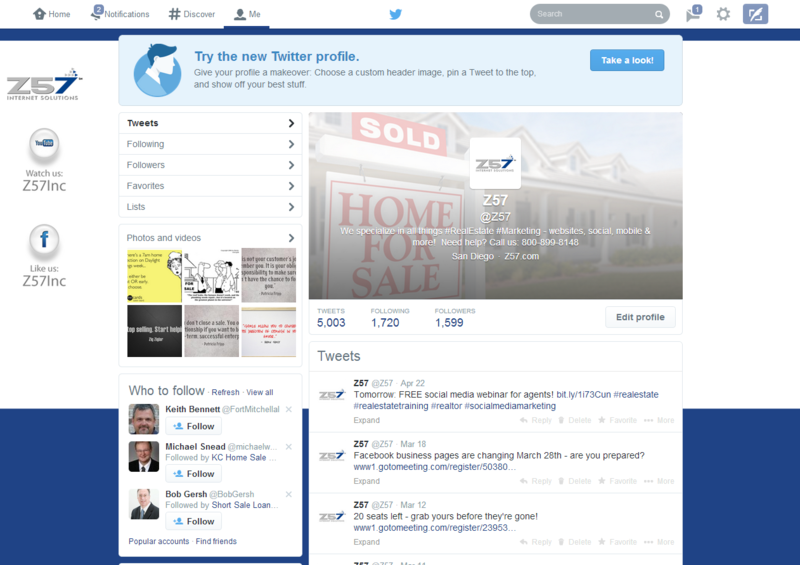 When I logged in to our Twitter account, I was prompted to check out their new layout. Not only does it look similar to Facebook - they even brought over similar post promotion features, including the "Pin to Top" option. So what do you need to know to be successful with this new layout? If you want to update your logo or header image to something that looks great in the new layout, you'll want to make sure your images are the right size. New profile image: 400 px wide by 400 px tall. Once you've got your new images ready, click on under the header image on the right side of the page. Your header image and profile photo will be grayed out and you'll see a camera icon and a prompt to change the photo. Click on either section to upload your new photo. Best Tweets - Tweets you post that receive the best engagement will be highlighted with larger text inside your update stream. 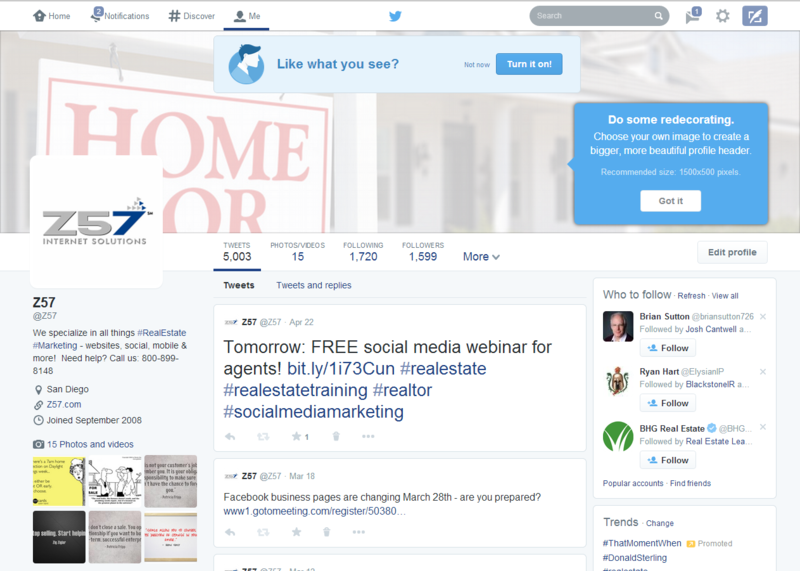 Pinned Tweet - As stated above, you can now pin a tweet to the top of your stream to keep it front and center. Filtered Tweets - When visiting other's profiles, you can select whether you want to see their tweets only, tweets plus replies or tweets with photo & video. Pinterest Style Grid - your followers and visual content will now appear in pinterest-esque grid.